if you can't find a place inside to do your orders then it's time for you to get a space heater or something. can't have you getting sick! 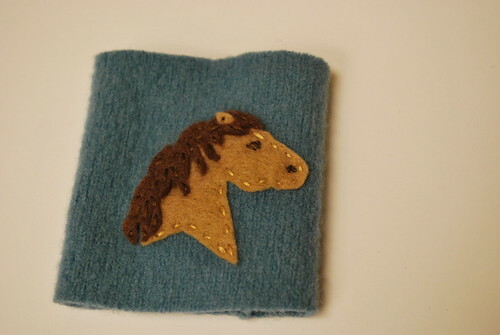 love the horse cozy and the framed boards you made. they're too cute! 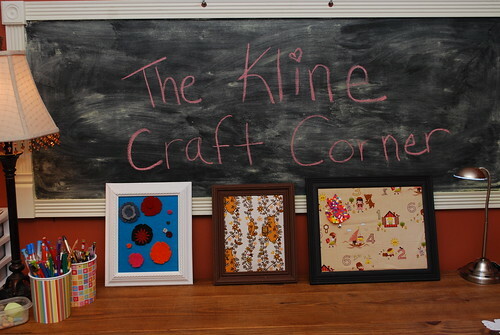 Love the craft corner - great idea! Your home looks so cozy and welcoming. 14 degress - that is some serious c.o.l.d! I'm lucky...once N is asleep, she'll sleep thru anything. Hmmm...I never even thought about how loud my sewing machine is. But...14 degrees, I'd be sewing inside somehow! 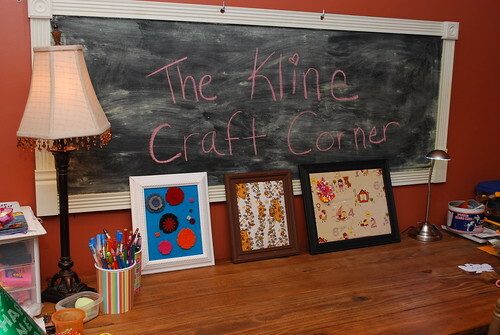 I LOVE the chalkboard and your little crafty corner. 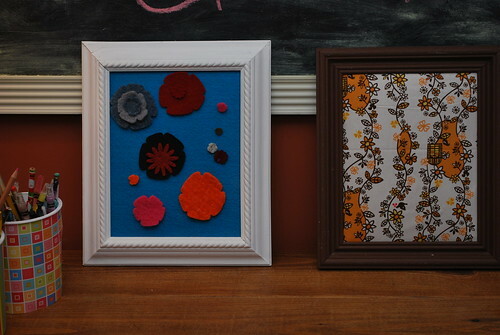 They make me want to be creative!